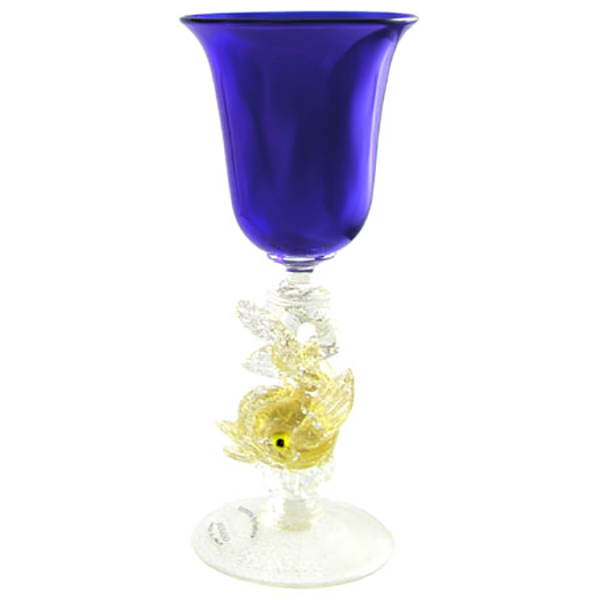 This tulip-shaped wine glass in Cobalt Blue Murano Glass is inspired from the 18th century Tipetto pieces which were typically given as gifts to people of importance. This goblet owes much of its splendor to the hand-formed dolphin stem containing 24 karat gold submerged under crystal clear glass. 8 inches with a 6 ounce capacity. The exact height varies as they are handmade.